your second sentence only reinforces the false impression that five different sources are reporting this. To be clear, there is only one source for this story. It is Scott Miller, writing at Bleacher Report, quoting an anonymous "industry source". The other four outlets you mention — Yahoo, RantSports, CBS, and Deadspin — all quote or link Miller’s story with added speculative commentary but no additional reporting. Two of those stories also link to (but don’t quote) John Shea’s story in the SF Chronicle, where Shea mentions the incident and follows up with quotes from both Beane and Donaldson dismissing it as not serious. "[L]et them stand undisturbed as monuments of the safety with which error of opinion may be tolerated where reason is left free to combat it." The morning after the trade, word circulated of an in-season spat between Beane and Donaldson after Donaldson requested a couple of days off to get right physically. 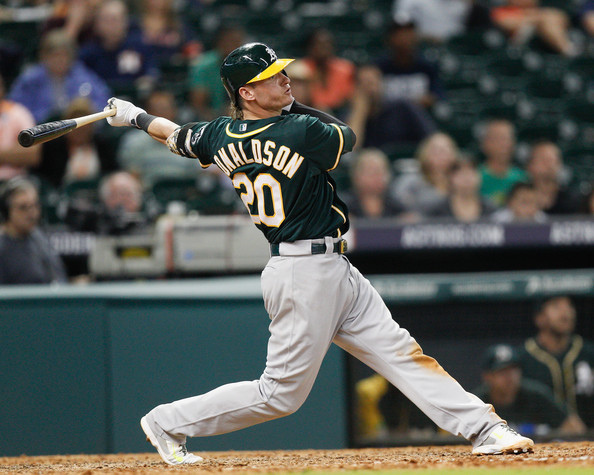 According to sources, Beane suggested if Donaldson were that banged up, he’d need to go on the disabled list, prompting the two to have words. “We had a talk, but that was before the All-Star break,” Donaldson said via text when asked about the issue on Saturday.